Did you know there are a lot of bigfoot sightings that take place in Kentucky? So many that the state actually ranks 5th in bigfoot encounters according to one expert. Kentucky is a Squatchy place. 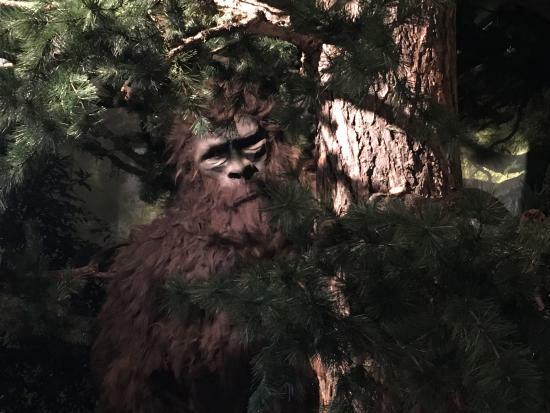 In fact, it's the fifth Squatchiest state in the U.S. That's according to records compiled by Charlie Raymond who founded the Kentucky Bigfoot Research Organization in 1997. Its purpose: "to prove the existence of and (provide) protection for these magnificent creatures." At a recent presentation in Lexington, Raymond indicated there have been 435 sightings in Kentucky, at least one in each of the 120 counties. Anderson County holds the record with two dozen reports of Sasquatches, which they call Kentucky Wildmen. Apparently Squatches have been around at least since the 1700s when settlers reported seeing Monkey Men near Mammoth Cave. Squatches go by other names in the state as well, like Backyard Bandit, Beast of Land Between the Lakes, Spottsville Monster, Waddy Werewolf, Yahoo and Red Eye. Raymond has interviewed about 300 witnesses in person or through emails. He sifts through the bogus stuff -- people making false reports simply for publicity purposes. But he's also collected numerous stories from credible sources like park rangers, and documented these encounters in his database.